What trends are you currently seeing in mobile payments? Firstly, non-card payment types in digital wallets are starting to emerge, which means merchants will be able to bypass interchange fees from the card providers. However, Payment Service Providers will need to support these new payments types, which will ultimately slow down their adoption as they seek to adapt their own technology. Also, since the TfL launched its contactless card payment option, contactless has continued to grow outside the M25 and we’re witnessing similar systems being implemented in other cities, such as on Manchester buses. Do you foresee a growth in contactless mobile payments? In 2016, contactless mobile payments accounted for 19% of all card transactions, while in 2018 they have accounted for 49% of all card transactions, overtaking chip and pin. It is likely this growth will continue as customers are now adding their usual credit and/or debit cards to their mobile wallet to make payments, rather than using new payment types. I estimate that around 20% of digital wallets will overtake physical cards in two to three years’ time. What do you think is driving the growth of contactless payments? This change is being driven by the wave of younger, more technologically inclined audiences, which is reflected in the demographics of those making payments. People aged 65 or older are the least likely to make contactless payments, with only 40% of people in this age group doing so. This contrasts with 60% of the 25-34 age bracket. Mobile payments give consumers an all in one solution that offers them improved convenience. Consumers undoubtedly appreciate the added value and freedom which they get from being able to make payments from the same device that they use to manage the rest of their digital lives, from checking their emails to taking photographs. In the future, do you think there will be a wider spread of market share when it comes to mobile payments? Mobile payments are currently dominated by Apple Pay and Google Pay. However it’s possible third party companies will develop wallet apps that operate in a similar way, as long as they aren’t blocked by either Apple or Google. It could be possible on Android, but Apple has applied API restrictions, meaning it is the only provider able to use near field communication with Apple Pay today. Unless digital wallet providers can use contactless EMV (Europay, MasterCard and Visa), which is the standard used for the chips in cards, such as a barcode system, we’re not likely to see a wider spread of adoption because the customer experience will be clunky and the services will remain niche. How does WiFi connectivity affect mobile payments? Internet connectivity is essential for customers if they are performing ecommerce digital wallet transactions, especially with the upcoming 5G connectivity. However, this does not apply for contactless EMV in stores, unless their payment device is powered by their smartphone or a WiFi connected device. Ubiquitous, reliable WiFi would help to increase the adoption of mobile payment transactions, so merchants should treat this as an essential utility when building their operations. What advice do you have for merchants looking to avoid issues with mobile functions not working? 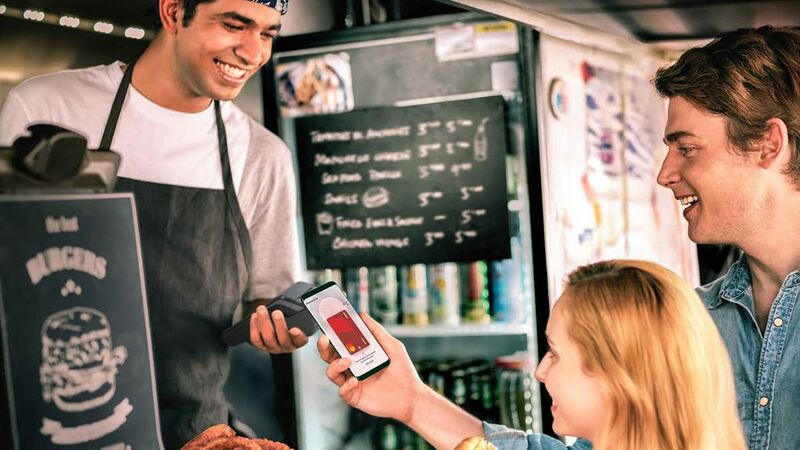 Merchants should view connectivity as an essential utility when building their operations and a key business priority, in the same way they would a card reader and other basic infrastructure, to ensure that they don’t unnecessarily lose valuable business. This means that a reliable internet connection should be in place, whether it is 5G or WiFi. If necessary, they should have alternate avenues for backup payment acceptance, either via Ethernet or GPRS/3G if things do go wrong.